The initial release of CnC: Final War. 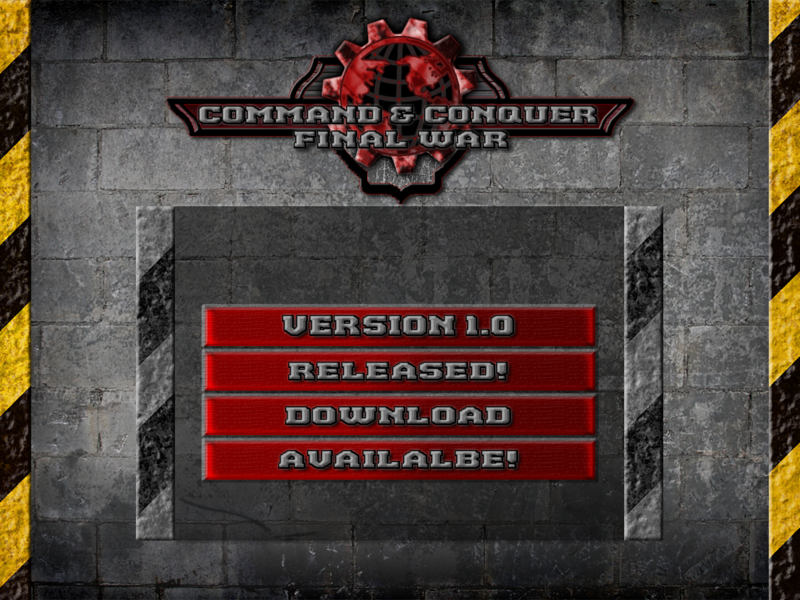 Included inside this download are the core files needed to download and setup the mod to play. Players are advised to please follow the modguide-readme.txt as it contains a complete manual for all factions and sub-factions. your first time setup of the mod client. in the directory you installed the mod and original game files. When I set compatibility on "Syringe.exe" and "gamemd.exe" to Windows XP 3 and allow the executables to run as an administrator. The game doesn't run and it ended up with a fatal error. So, what should I do right now. It is my first time playing your mod. EDIT: It finally works because I forgot to put ra2.mix in the mod's folder. holy ****! its here! lets see if this can be twin brother of mental omega on my hard drive! thanks alot for all ur effort guys! It's NOT a twin brother of mental omega or red resurrection, but this mod is much different than other mods. i meant in quality not gameplay! every time I try and launch a match, the screen goes black and says its failed to initialize and to reinstall it, is there something I can do to try and fix this? Very confusing install instructions... Where do those files already in the base game go? mod is shutdown.. please fix bug.